When we made lobster recently I wanted to serve something bright next to it, but not something that would overpower the sweet crustacean meat. 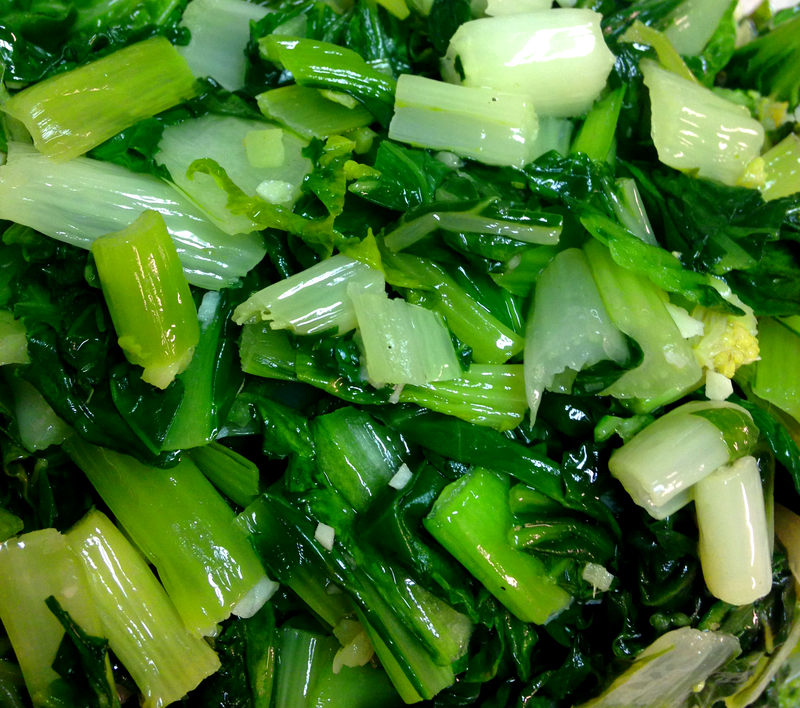 I landed on bok choy, for it is easy to make and met the requirement for bright contrast. I was also influenced by the fact it was in the produce department of the store where we bought the lobster. They were small, very green and very fresh looking. I love wokking (is that a word?) bok choy. I love wokking greens in general – dropping some into the well to sear, then tossing them on the edges to rest, then dropping them right back into the well. The bok choy keeps with the trend in our house of often eating green, leafy vegetables as often as possible. I like mustard greens and turnip greens and collard greens and spinach, but some variety is always welcome in my world. I have never served bok choy with lobster, but I probably will again, especially with an extra drizzle of lemon, to connect it with the lobster butter. Also, it is fun to say – bok choy, bok choy, bok choy, bok choy…. Thoroughly rinse sand and soil from bok choy. Chop green leaves off from white stems. Loosely chop green tops. Chop white stems to bite-sized pieces. Add oil to wok or large frying pan over medium high heat. When oil is hot add ginger and garlic. Cook until it begins to brown. Add chopped white stems. Cook stems for about five minutes, tossing regularly. Add green tops and sprinkle with salt and pepper. Toss mixture until greens are wilted, 3-5 minutes. Season with additional salt to taste. Remove to serving bowl and serve immediately.